Triple grouser pads are used on many pavers, excavators and milling machines with rubber, reinforced rubber, or polyurethane surfaces. We supply pads from the same manufacturers that supply to the OEMs. 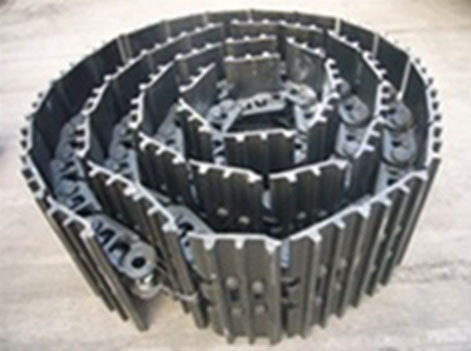 We can supply triple grouser pads for milling machines, track pavers and excavators. We can supply Blaw Knox, Cedarapids, Caterpillar and other continuous rubber tracks for your paver machines. Popular models in stock. We can supply you with the traditional bolt-on pads as well, in urethane, rubber or reinforced rubber. Our quality is as good as the original at substantial savings to you. Call us for pricing for your particular machine. Track chains or rails, are virtually the same regardless of the machine. There are basically just a few designs and they are really only made by two companies. We buy from both and pass the savings on to you. Naturally, the first stop is to identify the track chain that is on your machine and if there is any uncertainty, we can fax you a track worksheet, which will identify the chain. After that, we simply need to know the number of pitches (links) that are on your chain. 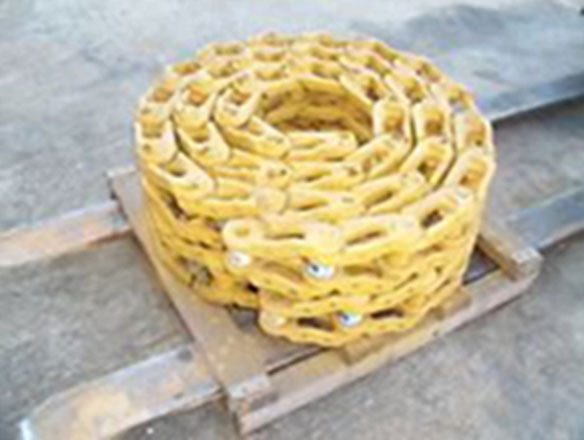 We can supply track chains for most major machine brands including pavers, excavators, dozers, milling machines etc. Call us for pricing on your machines.